I wouldn't have bothered challenging the baseless allegations of misconduct against the ruling APC in the just settled Mashi/Dutsi Federal constituency by-election but for the biased and unreliable observation report of an amalgamation of INEC-accredited civil societies who covered the election under the banner of 'Independent Election Observers'. On the surface, the report was enough to deceive the gullible into accepting the verdict of the observers as the true account of events in Mashi/Dutsi. However, a little scratch beneath the surface would expose an unpatriotic agenda to embarrass Katsina State Government and Governor Masari for no reason other than his refusal to play ball by not succumbing to overtures by the Independent Observers to settle the elections in Gidan Muhammadu Buhari, the Katsina seat of power. The purpose of this piece is to expose sinister and pecuniary motives of the so called 'Independent Observers' while engaging fair minded Nigerians to review the roles played by these 'observers' before, during and after the elections to put their damning verdict in its proper perspective. At the end, we may understand the unholy synergy between the so called 'Independent Observers' and the PDP which gave birth to an almost 'word to word' election observation report by the 'observers' on one hand and a petition written by PDP on the other. Ordinarily one will overlook the almost identical petition of the PDP and the report of the observers as mere coincidence but, knowing the futile efforts put by the observers to meet with Governor Masari and pledge their support to him (something they intended to express in their 'observation report'), I will be naive to accept the report as anything other than the 'egunje drive' it was. Had Governor Masari played ball and promised the observers 'something' in return for favorable verdict, probably Mashi/Dutsi would have been the best election story ever in the world of democracy in the eyes of the 'not-so-Independent observers'. Now my personal account of events. I was first contacted by a friend who served as a guide to members of the civil society groups that made up the Independent Observers. He reached out to me to arrange for the group to meet with Governor Masari to pledge their support and whatever co-operation he may request from them. I told the emissary that, not only will I not support such illegality; I know Governor Masari will not subscribe to such diabolic arrangement having worked with him closely during his 2015 elections and knew his disposition towards fairness which left an excellent impression in my mind. I thought that was enough to neutralize the desperation of the observers, recharge their patriotism and strengthen their oath of independency, as well, their sense of fairness. I was wrong! The next I heard of the observers was when a member of the group, one Chinyere Madueke was sighted at the Government House soliciting to see the Governor for reasons she refused to include in the well-publicized observation report she read to the press. Madueke was leader of one team of the Independent Observers. In the end, Madueke left the Government House without seeing the Governor (I was made to understand he refused to see her), nor did she extract any commitment from any senior government official towards arranging for the 'favorable report' she cement to sell the Governor. This expose is just to provide the other side of the story for a fair verdict. However, my only prayer is, may Chinyere Madueke or any member of the so called 'Independent Observers' deny this account to give me a chance to publish text messages and other documentary proof of my account. I'm itching to let the world know what transpired between the pseudo-observers and notable APC members like Hon. Ahmed Babba Kaita whom they met at the Ghana/Jigawa ward where he supervised the elections on behalf of APC. While talking about Hon. 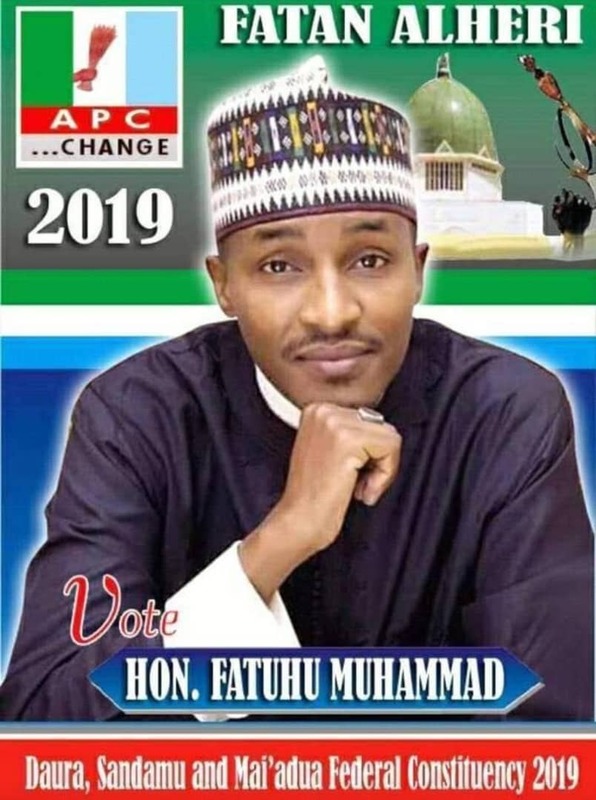 Babba Kaita's presence in Ghana/Jigawa, is it not absurd that PDP petitioned INEC over the presence of what they referred to as the 'who is who' of APC whereas, the only PDP 'who is who' that was not present in Mashi/Dutsi was former Governor Shema? Is it not a fact that former Deputy Governor, Barr. Abdullahi Faskari, Engr. Muttaka Rabe, Aminu Danbaba and other senior members of the PDP from across the state were in Mashi/Dutsi sharing money and trying to influence voter decision? The PDP chairman has lots of explanation to make to the public. For instance, why his concern over only APC members who went to Mashi/Dutsi to supervise an election in which their party is the major contender? Just like PDP's 'who is who' that graced the occasion, it's within the right of APC's 'who is who' to be there as stakeholders. The PDP chairman should learn this before he composes his next petition. It's only fair for the Independent Observers to tell the public if the mendacious report they released about ballot box stuffing and snatching covered those perpetrated by the PDP chairman in his Majigiri ward where he sealed the ward with thugs and did as he wished. The silence of the observers on what happened in Majigiri ward is the conclusive proof of the unholy marriage between PDP and the so called observers from which the funny observation report was born. I was not surprised therefore, when I read PDP's petition which relied heavily on so the called 'observation report' to promote a falsity backed by indefensible and purely imaginary misconduct by either the APC as a party, Katsina State Government or Governor Masari as the political head. Let's ask questions. Is it not contradictory that, while the PDP alleged that 13,000 voters (don't know how they arrived at that figure) were disenfranchised, the so called independent observers applauded the impressive turnout recorded at the election which they believed was due to adequate voter sensitization and mobilization by both political parties. How could there be impressive turnout and disenfranchisement at the same time. Were those that IMPRESSIVELY turned out sent away by the APC while PDP members stood by the side and watched not even bothering to record these events? Even more absurd, both the PDP and the Independent Observers alleged that there were rampant cases of voter intimidation and harassment yet, in their report, the Observers alleged (8th on their observation list) that commercial activities were SERIOUSLY observed across the constituency particularly in polling units. Does it make sense that while harassment and intimidation by security officials or APC agent were being carried out the people still had the peace and tranquility to engage in SERIOUS COMMERCIAL ACTIVITIES ACROSS THE CONSTITUENCY PARTICULARLY IN POLLING UNITS as confirmed by the observers? Is this not one and the same with saying people could dance in merriment in a war field not minding bullets and bayonets? How could 13,000 people said to be disenfranchised when the observers made it clear they were busy selling and buying even in polling stations? Somebody needs to be smarter than this. It's amazing how the PDP that cunningly distorted, edited, manipulated and made viral on the internet the campaign speech of the Governor which was meant to reiterate his resolve to maintain peace during the elections (which he did going by the 'serious commercial activities in the constituency' as reported by the observers) yet, they forgot to instruct their agents and sympathizers to capture the elections in video and still picture taking advantage of the same peaceful atmosphere. I thought it should be reasonable to assume that if it was the intention of the government to manipulate the process, the winning margin would be wider than what was declared. In sharp contrast, we have a result that proved keenly contested election with a result that reflects both the voter population of the constituency and the effort put by both parties to woo voters. Two years is not time enough to strip PDP naked in the manner people expected a zero return for it in the election. Despite the fumbling mess that Jonathan was and, despite the enormous goodwill and support President Buhari enjoyed across the country before and during the 2015 elections, Jonathan lost to Buhari with 12m votes to 15m - a mere margin of 3m votes. Perhaps, used to the old PDP ways of 'in bakubi ba an bi maku', what people expected was a nil return for PDP and an 'all return' for APC which was only possible at the peak of PDP's impunity and total disregard to the extant laws governing elections. On the allegation of using security agencies to intimidate members of the opposition, I wonder since when Governor Masari transformed into the Chief of Army Staff, the IGP and DG, DSS to take over the control of these agencies and have the military commandant, state Director, DSS and commissioner of police at his beck and call? Is PDP so confused as to appreciate the autonomy and independence of these agencies? Funny enough, even incidences of irregularities perpetrated in PDP strongholds like some wards in Mashi, the constituency of the PDP candidate as well as the PDP State chairman (as enumerated in their petition), APC was the culprit and PDP the victim. This is an absurdity that defies any reasonable estimation. Even in the days of PDP thuggery, they avoid tampering with areas known as strongholds of the opposition. To sum it, I think it's time for PDP to wake up to the reality of the day. Gone were the days when such behaviors were not only possible but tolerated. The reality of the day is "A KASA, A TSARE, A RAKA" which they knew too well.